The friendship, represented with the yellow circle, is a subtle thread that unites different people who have the pleasure of spending time together. Service with 6 quadrangular coffee plates with abstract subject made with glass paste to guarantee a smooth and easy to clean surface. Warm colors and harmonious lines represent the stones and the earth in autumn. The “Birth” work was deliberately reproposed, however, with natural materials cut in splits to show how it is possible to give multiple meanings to the same sketch. The mosaic was placed on the door of a previously milled living room furniture. 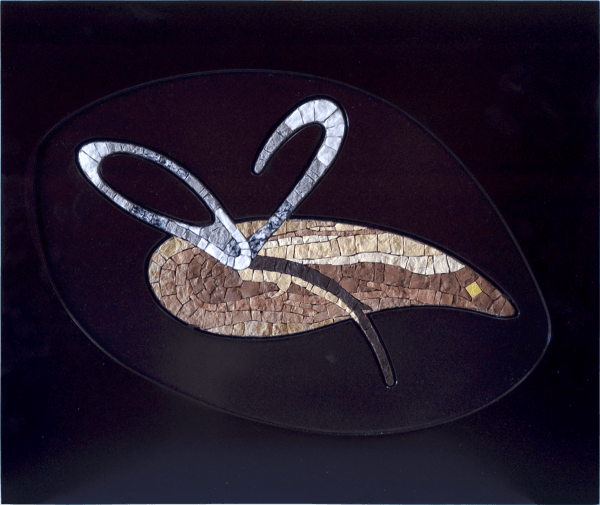 Mosaic insert made with contemporary technique laid on an aluminum support. 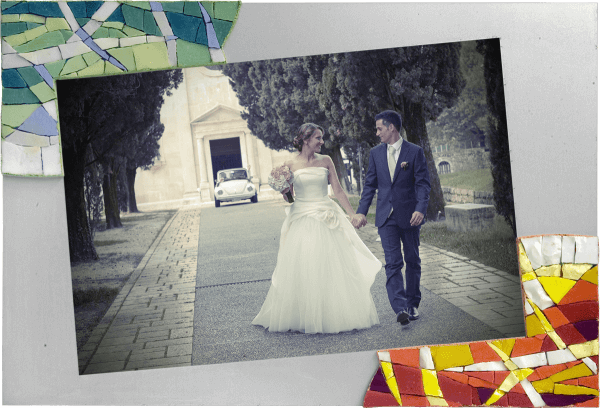 Elena Bonazzoli is a mosaic artist. Glass … transparent or opaque?